The global oil and gas industry has followed a gentle downward trajectory of project contracting activity in the last quarter (Q3: Jul-Sept 2014), with 139 contracts placed, a decrease of 7% compared to 149 in Q2 2014, and a significant 22% decrease on the 178 contract awards made in Q3 2013, according to the EIC Monitor quarterly report from the Energy Industries Council (EIC). In Q3 2014, a total of 40 major contracts (EPC, FEED and Subsea/SURF) were awarded across 35 upstream developments, a significant decline of 41% from 68 awards in Q2 2014, and a 49% decline on Q3 2013 figures. 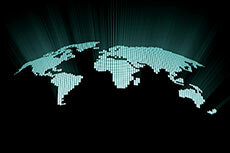 The decline reflects the slowdown in global upstream project activity, largely due to rising costs. A total of 22 EPC contracts, 12 FEED contracts and 6 Subsea/SURF contracts were awarded in Q3 2014. The Asia Pacific, North Sea and Middle East regions have been hotspots of activity, together accounting for 14 EPC contracts across 11 upstream developments. In the Asia Pacific region, EPC activity has been dominated by Indonesia where a consortium of Bumi Armada and Gema Group secured two awards for work on a FPSO to be deployed on the US$ 1.2 billion Madura BD, MDA, MBH gas field development; McDermott Intl won an contract to build the BTJT-A Jacket for the US$ 500 million Bukit Tua field; Bakrie & Brothers were appointed to carry out mooring fabrication for the US$ 3 billion Banyu Urip oilfield development; and a consortium of Technip and Wijaya Karya landed the EPC work for the US$ 250 million Matindok gas field in Sulawesi. In nearby Malaysia, Malaysia International Shipping Corp was appointed to build a Marginal Mobile Production Unit for the US$ 200 million Ophir oilfield development. On the UKCS, Veolia Environment has been awarded a major contract to decommission the 14 000 tonne YME oil platform, and further contracting activity has taken place on the US$ 700 million Bentley heavy oilfield development, where Aibel has won a contract to install an Arup Concept Elevating (ACE) platform. Aibel was also successful in the Norwegian North Sea, securing a contract on Statoil’s US$ 50 million Oseberg C Continuous Drilling project, for which Apply Leirvik was awarded an EPC contract to fabricate the additional living quarters. In the Middle East, EPC activity has been dominated by projects in Abu Dhabi, where National Petroleum Construction Company (NPCC) and Hyundai Heavy Industries were both awarded EPC packages on the US$ 3.5 billion Nasr offshore oilfield development. A consortium of Technip and NPCC also landed the contract to upgrade gas facilities at the US$ 350 million Umm Shaif Super Complex. In neighbouring Saudi Arabia, Essar Group has been appointed to carry out the EPC work for the US$ 54 million Abqaiq Crude Stabilisation Plant upgrade in Shaybah. In Q3 2014, there was a broad geographic spread of upstream FEED activity although Norway led activity, accounting for a quarter (3) of contracts awarded. Aker Solutions sub-contracted a major FEED award for the US$ 19.4 billion Johan Sverdrup development in the Norwegian North Sea to RBS, a subsidiary of UK-based drilling contractor KCA Deutag. Also in the same waters, Sevan Marine was appointed to conduct the FEED work on the hull and marine systems for the US$ 1.6 billion Bream oilfield development. Further north in the Norwegian Sea, Aibel is to carry out a study to clarify upgrade solutions on an FPSO unit with regard to the possible future connection of existing discoveries as part of a framework agreement between Marathon Oil and Aibel for FEED studies on the US$ 720 million Alvheim Vilje development. On the UKCS, IntecSea was awarded the FEED contract for subsea work on the US$ 3 billion Culzean HPHT field in the Central North Sea. In British territories overseas, progress continues on the US$ 5.2 billion Sea Lion Discovery Area development off the coast of the Falklands Islands, where AMEC has been awarded a FEED contract for the topsides on a Tension Leg Platform. Elsewhere, progress is continuing on the major US$ 46 billion Libra Oil & Gas field development, offshore Brazil, where Wood Group Mustang has been awarded a FEED contract to carry out the topsides engineering for a leased FPSO that will carry out long duration tests (LDTs). Projects in the MENA region have accounted for a further four FEED contracts: Foster Wheeler secured a five-year contract for the US$ 3 billion Empty Quarter, South Ghawar and Jafurah tight gas development; Tecon Engineering was appointed as FEED contractor for DNO’s US$ 150 million expansion at the Tawke and Khanke oilfields in Iraq; CB&I are to carry out design work for the US$ 1.5 billion Ain Tsila project, onshore Algeria; and a consortium of Foster Wheeler and Taknia Libya Engineering secured a contract for the US$ 900 million Area 47 Ghadames Basin onshore development in north-western Libya. North and South America led Subsea/SURF activity in Q3 2014, accounting for five out of the six such contracts awarded this quarter. Technip won both of the upstream Subsea/SURF awards made on projects in the deepwater Mississippi Canyon block in the US Gulf of Mexico. The French contractor also secured a Subsea/SURF contract for work on the US$ 582 million Edradour field development in the West of Shetland area of the UKCS. In Brazil, Petrobras awarded two Subsea/SURF equipment supply contracts for its pre-salt developments. GE Oil & Gas secured a contract to supply eight subsea manifold systems, while FMC Technologies won a contract for the manufacture of over 200 subsea trees and related tools and 16 subsea manifolds. To the north, in Trinidad & Tobago, BP awarded OneSubsea a contract to manufacture subsea trees for its US$ 2 billion Juniper offshore gas project. 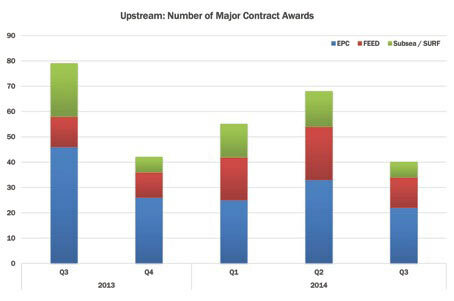 In Q3 2014, a total of 48 major contracts (EPC, FEED and Pre-FEED) were awarded across 40 midstream developments, comprising of 32 EPC contracts, 8 FEED contracts and 8 Pre-FEED contracts. There has been a small decrease of 4% in the number of major contracts awarded compared to Q2 2014, when a total of 46 contracts were awarded, and a 10% increase on the 44 major contract awards made in Q3 2013. Russia, Kuwait and the US have been hotspots of midstream EPC activity, together accounting for 12 EPC contracts across eight midstream developments. Russia has dominated activity, with five contracts awarded in Q3 2014. Three EPC contracts were placed for Novatek’s giant US$ 27.2 billion Yamal LNG project in northern Russia; one contract was awarded for the construction of the Serbian section of Russia’s South Stream Gas Pipeline; and Stroytransgaz has been appointed to build a shipping dock on the Lena River in Yakutia as part of the US$ 70 billion Power of Siberia pipeline. In northern Kuwait, three EPC contracts have been awarded for the construction of large crude oil gathering centres and associated facilities in order to increase crude production to 3.65 MMbbl/d by 2020. Also in the Middle East region, China Petroleum Pipeline Bureau landed a contract to build 29 storage tanks at the Nassiriya & Bin Umar Oil Storage Depots in southern Iraq. In the US, CB&I won contracts for internal floating-roof crude oil tanks at the US$ 340 million Beaumont Crude Terminal Expansion in Texas and for equipment and process modules at the US$ 200 million Bradley Gas Processing Plant expansion in Oklahoma. 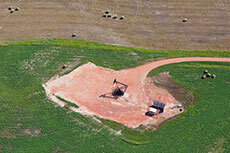 In Wyoming, Plum Energy has been appointed to build a US$ 50 million small-scale LNG plant adjacent to the Eagle Butte Mine. North America has dominated activity again this quarter, with 3 FEED contracts and 7 Pre-FEED contracts awarded in the US and Canada. As per Q2 2014, the high level of activity in North America can be attributed to the progress being made on LNG plants, which account for all but two of the FEED/Pre-FEED contracts this quarter. In the US, activity was led by projects in Alaska, where a total of five contracts were awarded across three projects. A JV of Fluor and WorleyParsons secured a Pre-FEED contract for major industrial plant at the US$ 45 billion SCLNG Liquefaction Plant in Nikiski, where a JV of Fugro and Moffatt Nichol International also won the Pre-FEED for the dock and LNG loading; Michael Baker was appointed Pre-FEED contractor on the US$ 3 billion Alaska Pipeline Project; and KBR will carry out the Pre-FEED for the US$ 1.5 billion Alaska-Japan LNG plant near Port MacKenzie, Cook Inlet. Here, PND Engineers was also awarded a FEED contract for the design of the dock. Down on the Gulf coast, WorleyParsons secured a contract to carry out the Pre-FEED for the pipeline at the US$ 10 billion Golden Pass LNG Plant expansion at Sabine Pass, Texas, where a consortium of CB&I and Chiyoda also landed the FEED contract for the LNG plant. In neighbouring Louisiana, Bechtel secured the FEED contract for the US$ 1 billion Louisiana LNG plant on the east bank of the Mississippi river. Elsewhere in the US, Mott MacDonald secured a contract for Pre-FEED work on a planned upgrade of the existing pipeline system in New York, Pennsylvania, Massachusetts, New Hampshire and Connecticut. In Canada, Foster Wheeler won a contract for the preliminary design and engineering of the US$ 9 billion Guysborough LNG export terminal in Melford, Nova Scotia. In Q3 2014, a total of 51 major contracts (EPC, FEED and PMC) were awarded across 34 downstream developments, a 46% increase on the 35 contracts awarded in Q2 2014. A total of 35 EPC contracts, 13 FEED contracts and 3 PMC contracts were awarded in Q3 2014. The US led downstream EPC activity with nine contracts awarded, largely in the southern states of the US shale corridor. In Texas, BMZ Export Terminal Partners were appointed EPC contractors for the US$ 1 billion Freeport LNG Export Terminal; Jacobs is to carry out site enabling works at the US$ 5 billion Baytown Olefins Plant Expansion, while on the adjacent bank of Tabbs Bay in La Porte, KBR won a contract to carry out EPC work for the US$ 500 million Gemini HDPE plant. KBR also secured an EPC contract for construction management services at the US$ 1.3 billion Enid Fertiliser Facility Expansion in neighbouring Oklahoma, where Black & Veatch also secured a contract for EPC work. Elsewhere in the US, China’s HQCEC won an EPC contract for the US$ 1.85 billion St James Parish Methanol Plant in Louisiana; Jacobs was awarded a contract for EPCm services on BP’s US$ 200 million Cherry Point Refinery Coker Replacement project in Blaine, Washington; CB&I was appointed an EPC contractor for the US$ 300 million El Dorado Ammonia plant in Arkansas; and Maire Tecnimont landed a contract on the US$ 1.6 billion Mt Vernon Fertiliser Plant in Posey County, Indiana. Also in North America, three contracts were awarded to Fluor, Tecnicas Reunidas and SK E&C for EPC work on the US$ 12.8 billion Fort Hills Oil Sands Mine upgrade project in Athabasca, Canada. In Malaysia, all six downstream EPC contracts awarded in Q3 2014, were for work on Petronas’ US$ 27 billion Refinery and Petrochemicals Integrated Development (RAPID) project in Pengerang, Johor. Sinopec Engineering, Tecnicas Reunidas, Toyo Engineering, Petrofac, Punj Lloyd, and a consortium of Gadang Holdings and Menta Construction all secured EPC work for the project, which is part of the Pengerang Integrated Complex (PIC) development. Earlier this year, Pemex announced its intention to invest heavily in hydro-desulphurisation (HDS) projects in order to expand production of ultra-low sulphur diesel (ULSD) in Mexico. In Q3 2014, this led to a significant level of contracting activity on refineries across Mexico, with five EPC contracts awarded on such projects to ICA Fluor, Tecnicas Reunidas, Samsung Engineering, Foster Wheeler, and a consortium of Dragados and Cobra. A further EPC contract was also awarded in Mexico for a refit at a Pemex fertiliser plant. Pemex’s investments in ULSD have also fuelled a sizeable amount of FEED contracting activity, with four such contracts awarded in Mexico, all for ULSD refinery projects: two to Foster Wheeler and Arendal for the US$ 584 million Antonio Dovali Jaime refinery in Salina Cruz; one to Samsung Engineering for the US$ 359 million Antonio Amor refinery in Salamanca; and one to Tecnicas Reunidas for the US$ 568 million Lazaro Cardenas refinery in Minatitian. Bahrain was a hotspot of downstream FEED activity with three contracts awarded for work on the US$ 10 billion Sitra refinery upgrade: Technip secured two contracts for various packages of work, while Chevron Lummus is to licence its LC-FINING™ and ISOCRACKING® technologies for the plant. The remaining activity this quarter was dotted around geographically, with one downstream FEED contract awarded apiece in the UK, Algeria, China, Poland, Russia and Turkmenistan. In Q3 2014, there were just three downstream PMC contracts awarded: one to Engineers India for the Sitra refinery upgrade in Sitra, Bahrain; one to Driver Group for the US$ 300 million Teesside Ethane Cracker and Cryogenic Ethane Import and Storage Facility in north-east England; and one to Saipem for the US$ 1.5 billion Ibeno Petrochemical Complex in Akwa Ibom State, Nigeria. Data for EIC Monitor is sourced from the EICDataStream online project database, which tracks over 10 000 projects proposed or under development in the global energy industry. 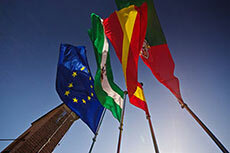 EIC Monitor is published on a quarterly basis. The next report will be available in January 2015. Professor Ralf Boscheck has said that new guidelines raise questions rather than action. 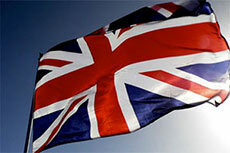 Considering the UK's energy policy and the 2008 Energy Act on future UK competitiveness. Rystad Energy’s latest analysis shows that a significant reduction in shale volumes at current prices should not be expected, as North American shale oil output will respond very slowly to a drop in oil prices.